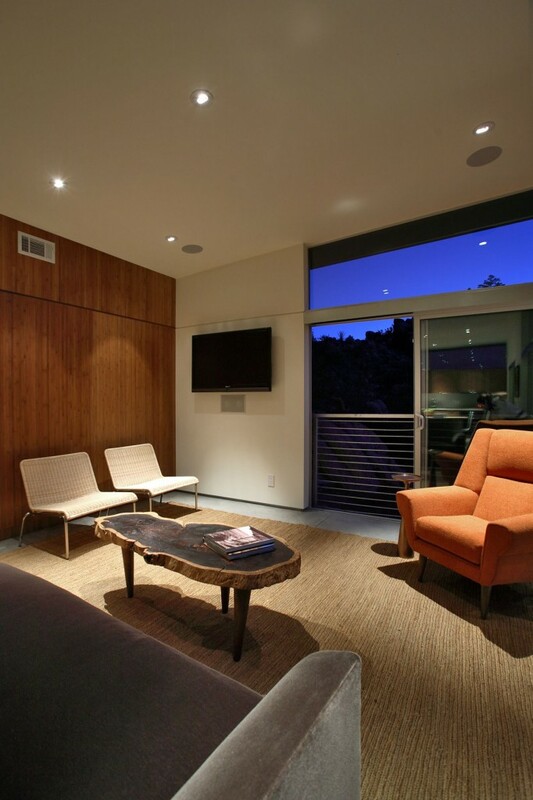 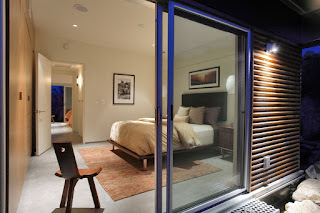 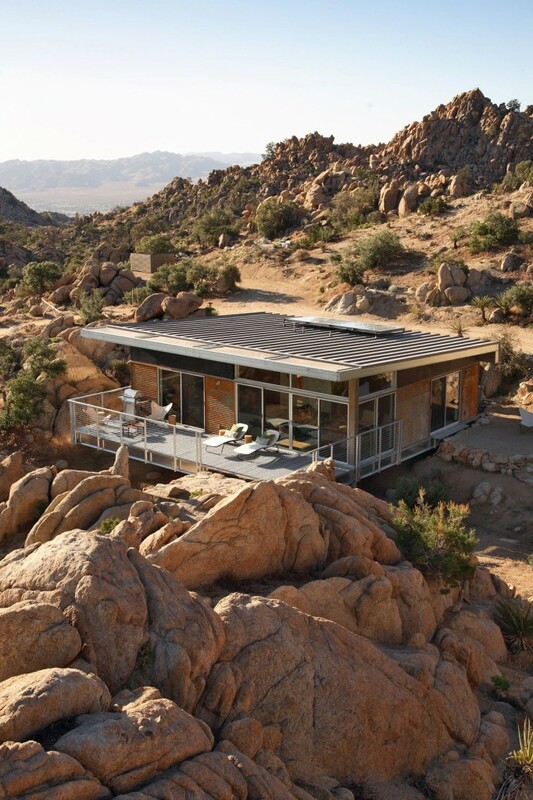 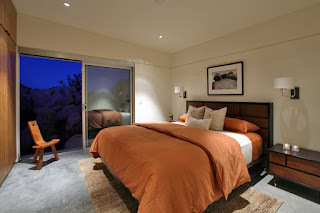 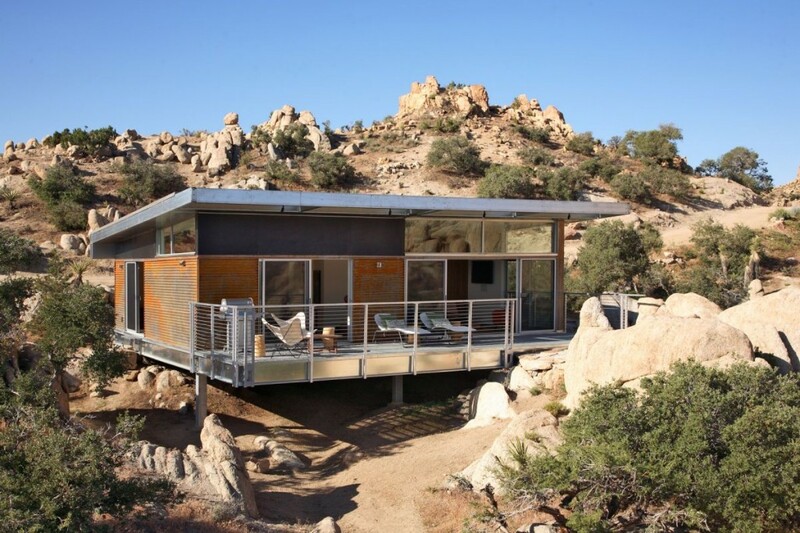 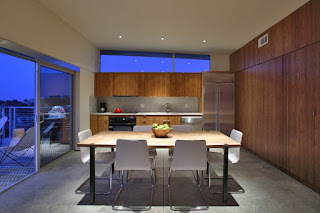 This prefab desert house (California) is 1000 SF and situated in the arid region Yucca Valley. 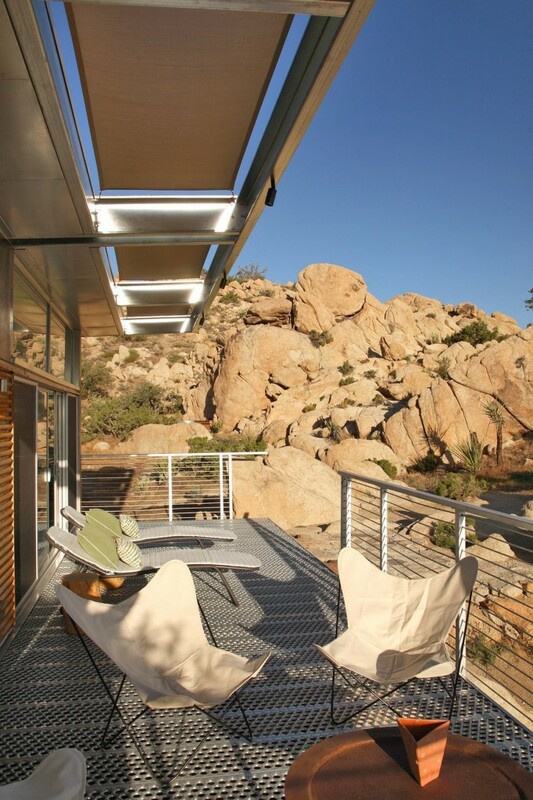 The main principles of the prefab desert house design are sustainability, adaptability, economy and durability. 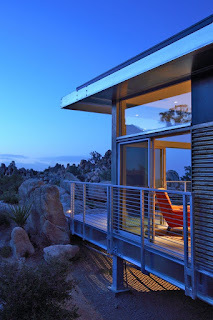 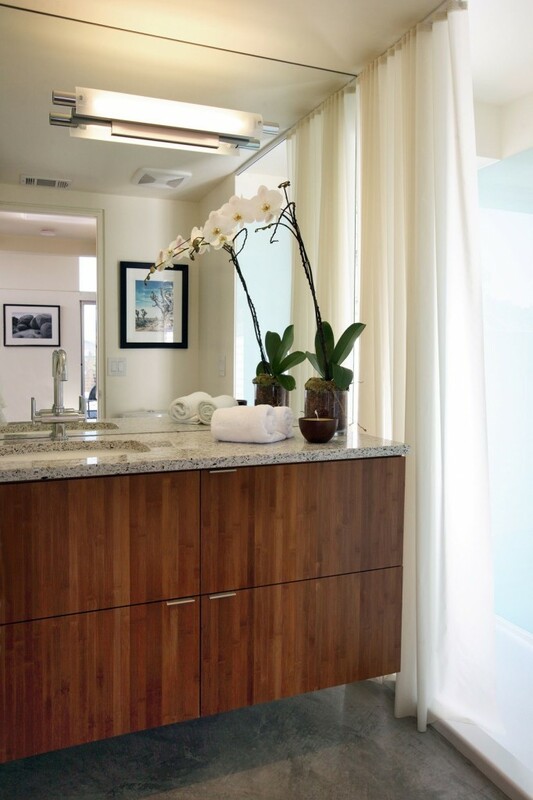 Emphasis was given to ensure minimal plot disruption while retaining privacy and maximizing views. Solar technologies provide space heating, hot water and electricity. 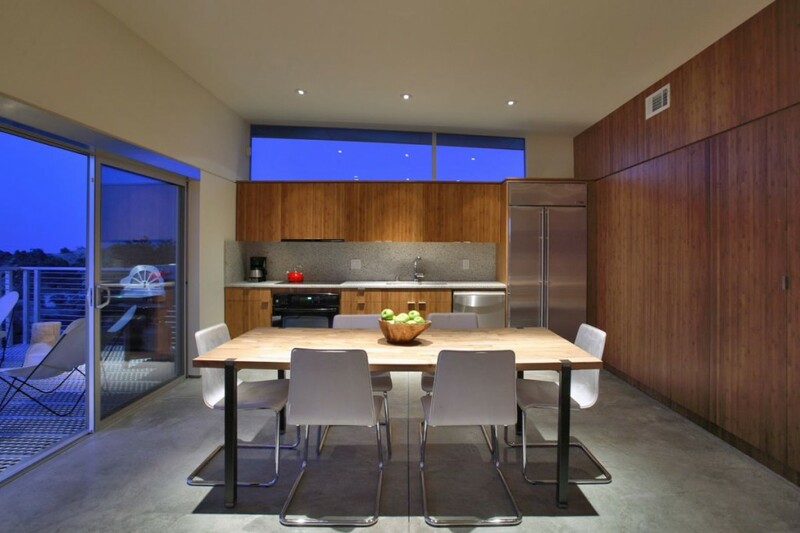 The house was completed with an 8 week construction in 2009, at $270/SF.